Open Source and The Mythical Man Month! This is a re-post of my original article, modified to reflect clarifications that I received from the author, which were very much appreciated. In fact the author spent some time developing a response which he kindly sent to me rather than posting as a comment. However having read the comments, I still thought that a slightly modified article had something useful to say so I made these updates and reposted. Nic just blogged on an interesting article published by IBM titled “Opening minds: Cultural change with the introduction of open-source collaboration methods”. But let’s be clear. Do I expect an investment banker at Goldman, Sachs to pick up the Java Desktop System? No. No way. He’s not our target demographic, not a route to make 120 million into 1.2 billion. A call center in Bangalore, a factory in Tennessee, a generation of kids that care more about ringtones than Win32 legacy? Dedicated internet terminals in shopping malls, touch screens in phone booths, the world’s academic environments? There’s a market calling. Which I found interesting because many of these applications are best served by embedded or thin client approaches rather than a full Linux distro. Help me understand how Microsoft might respond to Linux! 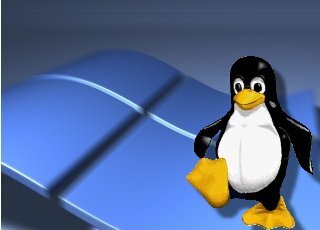 If Linux begins to capture significant desktop market share what options are open to Microsoft? In this article I have listed my initial ideas, and it would be great to get some feedback on the technical feasibility (some of them maybe plain crazy) and political acceptability of the options within Microsoft. It might also be interesting to get feedback on how the Open Source and business communities might respond. “Microsoft, our major competitor, has a marketing budget of five to 10 billion US dollars, while we have 25 cents in a PayPal account,” said McCreesh. According to the OpenOffice marketing plan, the main markets for the office suite are government offices; education establishments; public libraries; small to medium-sized enterprises (SMEs); not-for-profit organisations (NFPs); own equipment manufacturers (OEMs) building PCs with pre-installed software; and Linux distributions looking for an office suite to bundle. Although StarOffice has more ambitious target markets. Overall the plan targets OOo having a market share of apprximately 50% by 2010.